Do you ever wonder what your pets do during the day while you're at work, school, running errands, etc? When I make an unexpected stop home I noticed my fish are very slow moving, hiding under their rocks, pretty much they use the time of us not being around to sleep. 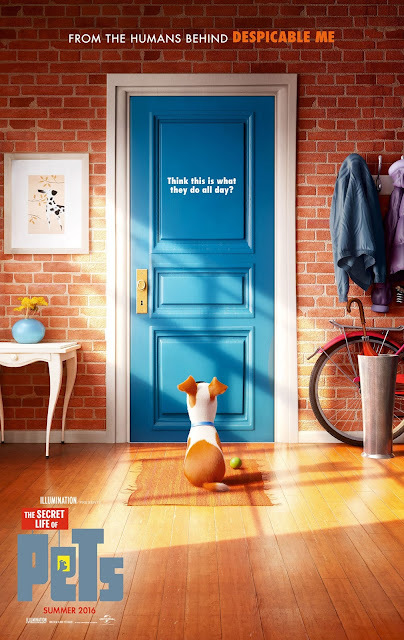 I don't think my fish are anything like the pets on this newest movie The Secret Life of Pets- well I hope they're not! LOL! Are you looking for movies to watch next summer with the family?